Prosecutors said that Troop E of the Massachusetts State Police used a quota system for issuing tickets to motorists. The allegation emerged last week in a sentencing memo for former trooper Eric Chin, who pleaded guilty late last year to embezzlement as part of the federal investigation into overtime abuses at the agency. Criminal justice and legal experts told the Globe that quotas are unconstitutional in Massachusetts, citing a landmark 2005 state appellate court decision regarding Newton police. State Police officials have repeatedly denied that any quota system exists. Agency spokesman David Procopio declined to comment directly Monday on the allegations levied by federal prosecutors. “The department does not comment on ongoing legal proceedings,” he said in an e-mail. He also noted that Troop E, the unit that patrolled the state’s turnpike and that is under investigation, was disbanded last year and its troopers were folded into other units. The overtime program, which dates back to at least 2012, was intended to reduce accidents by targeting aggressive or speedy drivers. It was eliminated in the wake of the scandal. Prosecutors didn’t reveal any details about the origin or breadth of the alleged ticket quota system in their filing. Brendan Moss, a spokesman for Governor Charlie Baker, said in an e-mail that the administration supports Colonel Kerry Gilpin’s “ongoing, comprehensive reforms,” which he said resulted in the referral to state and federal prosecutors of possible wrongdoing by 46 troopers. Those troopers — roughly one-third of Troop E’s members — are accused of bilking taxpayers out of tens of thousands of dollars in 2016 alone, submitting bogus traffic citations, filing for no-show shifts, and taking steps to hide their allegedly illegal activity. Parallel state and federal investigations have led to criminal charges against 10 troopers. Chin, who is scheduled to be sentenced Wednesday, is one of eight to have pleaded guilty. His attorney, Douglas Louison, said he did not dispute the quota allegations prosecutors made in the court memo but declined to comment further. Brian Kyes, president of the Massachusetts Major City Chiefs of Police organization, said a quota system “just doesn’t make any sense” in police work. “To go out there just to give tickets for the sake of writing tickets, that doesn’t benefit anybody,” said Kyes, who also serves as Chelsea police chief. In his 32 years in policing, Kyes said he has never come across a department with such a practice. 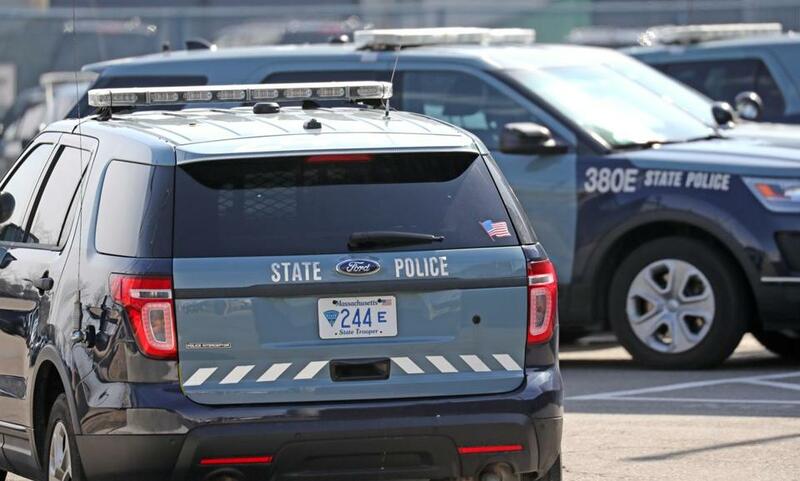 State Police for years have repeatedly denied having citation quotas, including in statements to WCVB-TV in 2017 after union officials raised concerns about internal memos from station commanders asking troopers to write 60 citations a month. State Police and the state’s highway safety director also denied the existence of quotas to WWLP-TV in 2016. More than a dozen states have laws banning ticket quotas, according to the National Conference of State Legislatures and media reports. Nonetheless, ticket quotas persist in some places, experts said. In 2015, Dracut officers told auditors about an unwritten quota policy there, according to the Lowell Sun. That same year, officers in Abington and Sutton sued their departments, claiming they were retaliated against after filing complaints about quotas, which each department denied, according to media reports. Thomas Nolan, a criminology researcher and former Boston police lieutenant, said there was no quota policy when he worked at the city department. Nolan said he generally opposes the quotas, but believes they might make sense in at least one scenario: If a department is using grant money for a specific, targeted enforcement purpose and needs to demonstrate officers are doing the work to justify the funding. “I think under those circumstances that’s not unreasonable,” he said. But several attorneys said requiring officers to issue a certain number of tickets, regardless of the reason, would violate the appellate court’s 2005 ruling. The revelations could factor into countless pending cases and result in ticket dismissals, attorneys said. “If you could go into a hearing in court, and you could clearly prove the officer was operating under a quota system, the judge should throw it out,” Plymouth attorney Rodney C. Schonland said. Meanwhile, some troopers may use the alleged quota as a defense in court. In the case of retired State Police Lieutenant David W. Wilson, a family friend wrote a letter to the judge seeking leniency in sentencing for Wilson, and noted that troopers were allowed to leave overtime shifts early if they met their traffic stop quota. Because of a reporting error, a previous version of this story misidentified a state agency that denied in 2016 that ticket quotas existed. An official with the Executive Office of Public Safety and Security made the comment.